The Indian Railways took several measures to improve passenger services, whilst maintaining cleanliness in stations. Stations are being cleaned and pesticides are being sprayed as part of the cleanliness drive. 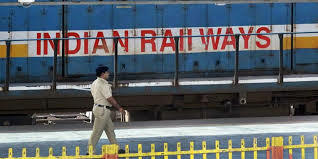 The Indian Railway has fined nearly 15,000 passengers for littering railways platforms during an ongoing cleanliness drive. The fine was imposed on the passengers during the Swacchta Abhiyan Week which is being carried out by Indian Railways from September 17 to September 25. The Indian Railways took several measures to improve passenger services, whilst maintaining cleanliness in stations. Stations are being cleaned and pesticides are being sprayed as part of the cleanliness drive. “We have started a mechanized laundry system also so that the problem of dirty linen is not faced by passengers. Also the pest control agency has been asked to fix all major railway stations by the eastern zonal department,” said Desh Ratan Gupta, Executive Director, Environment and Housekeeping Management Railway Board. Today, we will take feedback from passengers. We are carrying out this cleanliness drive from time to time and such initiatives would also be carried out in the future,” he added. Till now, the Indian Railways have solved nearly 250 cases related to cleanliness and nearly 16 Non-Government Organisations (NGO) are also taking part in this drive.